CELINE IS A LUXURY FRENCH FASHION HOUSE FOUNDED IN 1945 BY CÉLINE VIPIANA AND TODAY UNDER THE CREATIVE DIRECTION OF HEDI SLIMANE.CELINE IS AMONG THE MOST ICONIC BRANDS WORLDWIDE AND ITS UNIQUE POSITIONING ENCOMPASSES MOST HIGH QUALITY PRODUCT CATEGORIES, SUCH AS LEATHER, WOMEN’S RTW, ACCESSORIES, JEWELLERY AND SHOES, AND RELIES ON EXCEPTIONAL SAVOIR-FAIRE. 1945 MARKED NOT ONLY THE OPENING OF CELINE VIPIANA’S FIRST CHILDREN’S SHOP, BUT THE END OF WORLD WAR II AND PARIS’ LIBERATION FROM NAZI RULE (SCHLESINGER, 2015) CHARLES DE GAULLE WAS PRESIDENT AND LEAD THE FIGHT AGAINST NAZI GERMANY (HISTORY.COM) THE CLIMATE WAS CELEBRATORY AND JOYOUS AND IT WAS A TIME FOR PARISIANS TO TAKE BACK THEIR CITY, WHICH COULD HAVE BEEN THE IMPETUS FOR CELINE’S BUSINESS. SOCIAL DURING THE TIME OF CELINE’S EXPANSION IN THE 1960S, SOCIALLY IT WAS A TIME OF ECONOMIC GAIN AND SOCIAL UPHEAVAL, AS PARIS WAS STILL REBOUNDING FROM THE WAR (KELLY, 2017). T HE CLIMATE WAS UNSTEADY, WITH STUDENTS AND WORKERS RISING UP AGAINST PRESIDENT CHARLES DE GAULLE, AND NEW WAYS OF THINKING AND EXPRESSION EMERGING (KELLY, 2017). THERE WERE THREE MAIN OBJECTIVES AT HAND “SELF-MANAGEMENT BY WORKERS, A DECENTRALIZATION OF ECONOMIC AND POLITICAL POWER AND PARTICIPATORY DEMOCRACY AT THE GRASS ROOTS,” (STEINFELS, 2008). 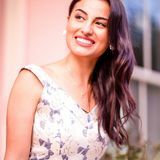 IT WAS AGAINST THIS SOCIAL BACKDROP THAT CELINE VIPIANA EXPANDED HER BUSINESS. AFTER THE WAR FRANCE WAS IN NEED OF AN ECONOMIC OVERHAUL. THE STATE TOOK CONTROL OF CERTAIN KEY INDUSTRIES AND IMPLEMENTED A ECONOMIC DEVELOPMENT PLAN (FOCUSECONOMICS.COM). FRANCE THUS EXPERIENCED A PERIOD OF ACCELERATED ECONOMIC GROWTH DURING THE SAME TIME THAT CELINE WAS GROWING HER BUSINESS. TECHNOLOGY “IT WAS THE DRAMATIC CHANGES TAKING PLACE IN THE DECADES OLD COUTURE BUSINESS IN PARIS THAT CHANGED THE FASHION LANDSCAPE FOR GOOD.” (HONIG, 2017) FRENCH FASHION OF THE 1960S WAS REVOLUTIONARY. NOT ONLY WAS CELINE GAINING SUCCESS, BUT OTHER FRENCH FASHION HOUSES WERE ALSO GROWING INCLUDING YVES SAINT LAURENT AND DIOR	THESE BRANDS PUSHED THE ENVELOPE OF FASHION TECHNOLOGY. WHILE DESIGNING FOR DIOR, YVES SAINT LAURENT SHOWED A-LINE TRAPEZE DRESSES (HONIG, 2017), AND CELINE CREATED MOCCASINS IN THE HER EARLY COLLECTIONS. TO MAKE THESE ADVANCEMENTS IN FASHION WOULD REQUIRE FASHION TECHNOLOGICAL PROGRESS. THE OPPORTUNITY TO COLLABORATE WITH OTHER BRANDS, WHICH CAN ADD VALUE TO THE BRAND. HIGH QUALITY PRODUCT CATEGORIES, SUCH AS LEATHER, WOMEN’S RTW, ACCESSORIES, JEWELLERY AND SHOES, AND RELIES ON EXCEPTIONAL SAVOIR-FAIRE. THE NEWEST ADDITION OF MENSWEAR COLLECTION BY HEDI SLIMANE TARGETING MALE CONSUMERS TO THE BRAND. RECOGNIZABLE BRAND IDENTITY AMONGST CONSUMERS WORLDWIDE. THE OPPOTUNITY TO TARGET A YOUNGER AND WIDER MARKET THROUGH BUILDING A STRONGER SOCIAL MEDIA AND E-COMMERCE STRATEGY. OWNED BY PARENT COMPANY LVMH. ESTABLISHED AND LOYAL COSTUMER BASE. THE OPPORTUNITY TO SHARE THE BRAND’S STORY AND THE “WHY” DURING THE ERA OF “STORYTELLING”, WHICH CAN LEAD TO BUILDING STRONGER CONNECTIONS WITH THEIR CLIENTELE. ITS AMONG THE MOST ICONIC BRANDS WORLDWIDE. THE LACK OF INFORMATION ABOUT THE “WHY” OF THE COMPANY SUCH AS THEIR MISSION AND VISION STATEMENT, AND THEIR HISTORY WHICH OFTEN LEADS TO BUILDING A STRONG CONNECTION WITH CLIENTELE. LACK OF COMMUNICATION BETWEEN CONSUMERS AND THE BRAND. OFTEN PERCEIVED AS ELITIST AND EXCLUSIVE BRAND. LACK OF COLLABORATIONS AND BRAND EXTENSIONS. SOCIAL MEDIA STRATEGY STILLS IN EARLY STAGES OF DEVELOPMENT. THE FACT THAT THE MARKET IS SHIFTING TOWARDS A MORE INCLUSIVE-THINKING CONSUMER, AND CELINE IS OFTEN PERCEIVED AS AN EXCLUSIVE BRAND. THE INCREASE IN COUNTERFEIT GOODS, AND FAKE LUXURY PRODUCTS ARE GETTING HARDER TO SPOT IMPACTING IN BRAND IMAGE AND OVERALL REPUTATION. THE TYPICAL CELINE CUSTOMER IS A POWERFUL AND STRAIGHTFORWARD INDIVUAL DRIVER OF TASTE, AND WHO DOESN’T FOLLOW TRENDS. IT’S TRUE TO HIS/HER MINIMAL AND SIMPLE STYLE. SHE’S EXCLUSIVE AND SELECTIVE WITH THE BRANDS SHE WEARS. HE/SHE IS WEALTHY, HIGH-PROFILE, FASHION CONSCIOUS. BRAND STRATEGY WHAT IS THE UNIQUE REVELATION? CELINE STYLE HAS STRONG IN BALANCE OF FEMININITY AND MODERN DESIGN, WHICH LOOKS SIMPLE BUT IT IS INNOVATIVE AND TIMELESS IN THE STRONG STRUCTURE. COMPARE TO THE GENERAL FASHION BRANDS, PHOEBE PHILO DESCRIBES THAT THE CONCEPT OF CELINE IS A KIND OF CONTEMPORARY MINIMALISM BECAUSE SHE WANTS TO CLEAN IT UP AND MAKE IT STRONG AND POWERFUL. WHAT IS THE BELIEF SYSTEM? CELINE’S BELIEF SYSTEM WAS ORIGINALLY SUBTLE LUXURY WITH SOPHISTICATED HIGH QUALITY MATERIALS. IT STARTED OFF AS A CHILDREN’S SHOE COMPANY WHERE THAT WAS THE MAIN FOCUS. ONCE A WOMEN’S-WEAR LINE WAS ADDED IT SHIFTED TO INSTILLING CONFIDENCE IN WOMEN. “CELINE IS A COMPANY WHICH CREATES AFFINITIES, BUILT ON A CLEAR VALUE SYSTEM: SINCERITY, AGILITY, FOCUS. INTERNALLY, EVERYONE IS A STAKEHOLDER AND AMBASSADOR FOR A SINGLE, COHERENT PROJECT: TO MAKE BEAUTIFUL, SINCERE AND GENUINE PRODUCTS WHICH EMPOWER WOMEN AND GIVE THEM JOY IN DRESSING AND LIVING FOR THEMSELVES. WHAT ARE THE BRAND RITUALS? CELINE’S BRAND RITUALS INCLUDE PRIVATE APPOINTMENTS FOR SHOPPING AND SHOWING OFF NEW COLLECTION. CELINE HAS OCCASIONAL PRIVATE EVENTS INCLUDING INVITE ONLY EVENTS FOR THE LAUNCH OF NEW SEASON. STORES ARE DESIGNED TO CREATE PRIVATE SHOPPING EXPERIENCE. CELINE ALSO DOES IN STORE REPAIRS FOR DAMAGED CLOTHING. 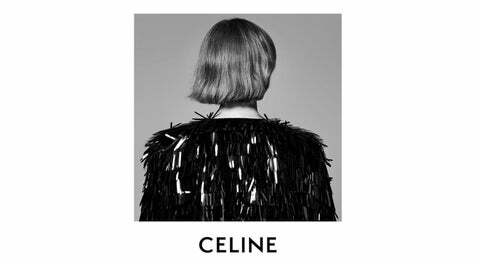 DISTINCTIVE LEXICON THESE ARE SOME THE MOST COMMON ADJECTIVES TO DESCRIBE THE CELINE BRAND. CONFIDENT; STRONG; PROUD; STRAIGHTFORWARD; POWERFUL; DISCRETE;COMFORT. THE MOST DISTINCTIVE LEXICON TO CELINE HAS NOW BEEN REMOVED. THE FRENCH ACCENT WAS DROP AS PART OF SLIMANE’S CELINE BRANDING. THE CITY OF ORIGIN “PARIS” IS NOW BACK IN THE BRAND LOGO. OVERVIEW THE LUXURY MARKET CONSISTS FOUR CORE CATEGORIES: 1) FASHION (COUTURE, READY-TO-WEAR, AND ACCESSORIES) 2) PERFUMES AND COSMETICS 3) WINES AND SPIRITS 4) JEWELRY (FIONDA, 2008) DOMINATED BY 3 MAJOR LUXURY HOUSES- LVMH, KERING, AND RICHEMONT CELINE IS HOUSED UNDER THE LVMH UMBRELLA, WHICH IS THE WORLD’S LARGEST LUXURY HOUSE (WILLIAMS, 2018) CELINE’S ANNUAL REVENUE WAS ESTIMATED AT $949 MILLION (DENIS, 2017) WHOLESALE REMAINS THE LARGEST CHANNEL, ACCOUNTING FOR TWO-THIRDS OF SALES LUXURY HOUSES CONTINUE TO PUSH FOR RETAIL CHANNELS, INCREASING 8% ONLINE SALES, WHICH HAVE NOT EVEN BEGUN TO SCRATCH THE SURFACE OF THEIR POTENTIAL, INCREASED 24%. GUCCI: WHICH RECORDED SALES OF $2.3 BILLION IN THE FIRST QUARTER OF THIS YEAR, UP 37% (NEMBHARD, 2018), IS THE MOST COVETED OF LUXURY BRANDS RIGHT NO. LOUIS VUITTON FROM A SALES PERSPECTIVE, LOUIS VUITTON WITH ESTIMATED SALES OF $33.6 BILLION (FORBES.COM), WOULD BE ONE OF THE BIGGEST COMPETITORS. “IF CELINE IS GOING TO GROW SIGNIFICANTLY, AND I BELIEVE IT WILL, THE QUESTION IS FROM WHICH BRAND IT WILL TAKE MARKET SHARE,” MARIO ORTELLI, LUXURY CONSULTANT (WILLIAMS, 2018) WITH THE MOST RECENT LAUNCH OF SLIMANE’S FIRST COLLECTION FOR CELINE, THE MOST CONTROVERSIAL COMPETITOR IS SAINT LAURENT. SAINT LAURENT SALES OF ONLY €2 BILLION IN 2017 (DIDERICH, 2018) MAY NOT BE COMPARABLE TO CELINE, BUT THE NEW AESTHETIC OF THE COLLECTION UNDOUBTEDLY RIVALS THAT OF SAINT LAURENT . CELINE RELIES HEAVILY ON ITS ESTABLISHED LOYAL FOLLOWERS. IT’S STRONG CREATIVE VISION AND CORE VALUES KEEPS CELINE ON THE RIGHT PATH TO SUCCESS. IT’S RECENT MALE LINE IS THEIR NEWEST MARKET EXPANSION AND WILL ATTRACT NEW CUSTOMERS TO THE BRAND. DEMOGRAPHICS GENDER: MALE AND FEMALE AGE: 25-60+ (Average 42) INCOME: 55,000 - 100,000+ GEOGRAPHIC: EUROPE, NORTH AMERICA, ASIA PACIFIC, MIDDLE EAST EDUCATION: HIGH SCHOOL DIPLOMA, BA, BFA, MA, MFA, DOCTORAL DEGREE. SOCIAL STATUS: UPPER MIDDLE CLASS, UPPER CLASS. She is full time lawyer and the Criminal Defense teacher at Standford. Has her own office in France Young mom of one boy, married for three years. Exercises everyday. Mom to five, married for 35 years. Strong independent, elegant, classy, timeless, Mature. Dedicated, motivated, strong, independent, smart, simplistic, modern. Loves red wine and massages. she enjoys family gatherings in their private yacht. Income: 390,000 + Wealthy husband. CELINE AIMS TO POSITION ITSELF AS A MODERN BRAND AMONGST A YOUNGER ASPIRATIONAL CLIENTELE, WHO WILL BECOME THE NEXT CELINE CORE CLIENT. THE BRAND EXPECTS TO EXPAND ITS DIGITAL FOOTPRINT THROUGH THE ADDITION OF OUR RECENT SOCIAL MEDIA STRATEGY, AND BRAND COLLABORATIONS BY 2048. IN 2048 THE LUXURY MARKET WILL CATER TO MILLENNIALS, GENERATION Z, AND THE GENERATION BEYOND. THESE GENERATIONS WILL REQUIRE A DIFFERENT TYPE OF LUXURY. CELINE WILL NEED TO EVOLVE ITS BRANDING IDEAS. 1) CREATE A BRAND EXTENSION THAT WILL INCREASE THE EQUITY OF CELINE. BRAND EXTENSIONS “ALLOW CONSUMERS TO ENTER THE BRAND UNIVERSE THROUGH MANY NEW DOORS” (KAPFERER, 2015). 2) STRENGTHEN THE FUTURE OF CELINE IN 2048, CREATE DEMAND AND DEEPEN AWARENESS FOR THE CELINE BRAND. 3) ATTRACT A YOUNGER ASPIRATIONAL CLIENTELE, WHO WILL BECOME THE NEXT CELINE CORE CLIENT. 4) GROW MARKET SHARE IN CHINA. CELINE WILL CREATE A BRAND EXTENSION CALLED CELINE X. THE BRAND EXTENSION PARTICULARLY ALIGNS WITH CELINEâ&#x20AC;&#x2122;S GOAL TO INCREASE EQUITY AND BRAND AWARENESS. IT WILL ALSO ALLOW THE BRAND TO WELCOME NEW CUSTOMERS FROM THE TARGET MARKET INTO THE UNIQUE CELINE UNIVERSE. THESE BRAND EXTENSIONS ARE STRATEGICALLY POSITIONED IN ORDER FOR THE BRAND TO MEET GOALS. 1) CELINE X WILL COLLABORATE WITH A FAST-FASHION COMPANY, A TECHNOLOGY COMPANIES, AND A LUGGAGE BRAND, EACH WITH A SPECIFIC BRAND CONCEPT. 2) COLLABORATIONS WILL BE LIMITED AND REGIONALLY TARGETED. BRAND EXTENSIONS WILL ALLOW THE BRAND TO APPEAL TO A LARGER CONSUMER BASE, OCCUPYING THE MIDDLE RANGE OF THE PYRAMID MODEL (KAPFERER, 2015). 3) MASS MARKET BRAND EXTENSIONS CAN BE DANGEROUS FOR A LUXURY BRAND, SO POSITIONING HAS TO BE STRATEGIC. 4) MARKETING WILL INCLUDE A STRONG DIGITAL CAMPAIGNS. COLLABORATIONS “GIVE LABELS A COOLER, MORE AMUSING FEEL, AS WELL AS MAKING COLLECTIONS MORE EXCLUSIVE, AND THEY STIMULATE PURCHASES,” NICOLA PIANON OF THE BOSTON CONSULTING GROUP (MURET, 2018) CELINE X ZARA IS A LIMITED-EDITION CAPSULE COLLECTION OF CLOTHING, REFLECTIVE OF THE CELINE AESTHETIC AT A PREMIUM PRICE. SPECIFICALLY TARGETED AT MILLENNIALS, GENERATION Z, AND BEYOND. 54% OF MILLENNIALS MIX HIGH AND LOW, BRANDED PRODUCT WITH HIGH-END DESIGNERS (MURET, 2018). THIS BRAND EXTENSION WILL BE SOLELY TARGETED AT THE NORTH AMERICAN CONSUMER, WITH WHOM THE TRADITIONAL VALUES AND IDEAS OF LUXURY HAVE TAKEN ON NEGATIVE CONNOTATIONS, AND ARE BEING SATISFIED BY PREMIUM AND LOWER-PRICED BRANDS. (DANZIGER, 2017) FUTURE GENERATIONS WANT IT ALL- LUXURY DESIGNS, FAST-FASHION, AND ASPIRATIONAL STYLE. THE COLLECTION ALIGNS WITH CELINE’S POSITIONING TO EXPAND THE BRAND INTO A MODERN AND YOUNGER CONSUMER, AND GIVEN CELINE’S AND ZARA’S SIMILAR AESTHETICS AND TARGET MARKET WE ARE CONFIDENT THAT THIS COLLABORATION WILL BE A SUCCESS. CELINE X APPLE IS A LIMITED EDITION OFFERING OF CELINE DESIGNED APPLE IPHONES, LAPTOPS, TABLETS, AND LEATHER TECH ACCESSORIES. CAPITALIZING ON THE DESIGN EXPERTISE OF CELINE AND THE TECHNOLOGICAL DOMINANCE OF APPLE. EXPANDING THE CELINE BRAND INTO TECHNOLOGY. THIS BRAND EXTENSION WILL TAKE A GLOBAL APPROACH, TARGETED AT NORTH AMERICA, ASIA, AND EUROPE.THE FUTURE OF LUXURY IS INNOVATIVE. CELINE X AWAY “BY 2021 CHINA IS EXPECTED TO HAVE THE MOST AFFLUENT HOUSEHOLDS IN THE WORLD” (LAMBERT, DURAND-SERVOINGT, KIM, YAMAKAWA, 2017) CELINE X AWAY IS A CAPSULE COLLABORATION OF DESIGNER LUGGAGE. THE COLLECTION OFFERS EXCLUSIVE PRODUCTS AND COLORS BY REGION IN KEY CHINESE TRAVEL MARKETS LIKE PARIS, LONDON, ITALY, NEW YORK, AND SPAIN. A LIMITED EDITION RED LUGGAGE BAG WILL BE DESIGNED BY CELINE IN CELEBRATION OF CHINESE NEW YEAR. CELINE X AWAY WILL TAP INTO THE CHINESE CONSUMERS DESIRE FOR LUXURY, TRAVEL, AND EXCLUSIVITY. UNIQUE SELLING PROPOSITION FOR CELINE, EXCLUSIVITY, QUALITY, SPECIALTY AND, PRIVACY ARE UNIQUE SELLING PROPOSITIONS. CELINE’S MINIMALISTIC DESIGNS ARE EXCLUSIVE. THE QUALITY OF CRAFTSMANSHIP AND USE OF ITALIAN MATERIALS REFLECTS A DEGREE OF EXCELLENCE. THEIR LEATHER GOODS AND ACCESSORIES ARE SPECIALTIES OF THE BRAND PRESERVING THEIR IDENTITY AND PARISIAN HERITAGE,YET STILL EVOLVING, MAINTAINS THE BRANDS POSITIONING IN THE MARKET. THE HOUSE OF CELINE HAS INTRODUCED A SPECIFIC RETAIL CONCEPT THAT APPEALS TO A GLOBAL MARKET. CELINE’S DELIBARTE PRIVACY ADDS TO THE BRAND MYSTIQUE, PEAKING INTEREST, AND FURTHER STRENGTHENING THE BRAND. CELINE AIMS TO POSITION ITSELF AS A MODERN BRAND AMONGST A YOUNGER ASPIRATIONAL CLIENTELE, WHO WILL BECOME THE NEXT CELINE CORE CLIENT. BY 2048 CELINE EXPECTS TO HAVE A YOUNGER CONSUMER BASE, A STRONG AND ESTABLISHED DIGITAL STRATEGY, AND TO HAVE IMPLEMENTED DIFFERENT BRAND COLLABORATIONS. CELINE’S PRODUCTS IN THE FUTURE WILL CONTINUE TO BE EXCLUSIVE AND UNIQUELY DESIGNED. CELINE WILL CONTINUE TO IMPROVE THE QUALITY OF CRAFTMANSHIP AND DELIVERY OF THE PRODUCT. WE WILL CONTINUE TO MEET OUR HIGH STANDARDS WHEN IT COMES TO THE CRAFTMANSHIP OF THE PRODUCT AND DELIVERY. WITH HEDI’S VISION OF THE BRAND WE WILL CONTINUE TO DELIVER LUXURY AND VALUED PRODUCT TO OUR COSTUMERS. CELINE WILL CONTINUE TO OFFER ITS PREMIUM PRICES JUSTIFIED BY THE QUALITY OF ITS PRODUCTS, AND WILL BE FIXED RELATIVE TO THE INCREASE IN PRODUCT QUALITY AND BRAND EXPERIENCE. CELINE WILL CONTINUE TO STRENGTHEN THE STORES IT CURRENTLY OWNS, AND KEEPING STRATEGIC LOCATIONS WHERE OUR MOST EXCLUSIVE COSTUMERS VISIT THE STORES CONSTANTLY. WE WILL CONTINUE TO PROVIDE THE ULTIMATE STORE EXPERIENCE BY KEEPING OUR MINIMALISTIC AESTHETICS AND OFFERING HIGH QUALITY PRODUCTS. IN ADDITION TO THE COLLABORATION WITH AWAY WITH THE OBJECTIVE OF PENETRATING THE CHINA MARKET, CELINE WILL CURATE ITS CHINA STORES TO THE SPECIFIC CHINESE CULTURE IN ORDER FOR CONSUMERS TO HAVE THE ULTIMATE EXPERIENCE. CELINE’S PROMOTION STRATEGY INCLUDES DIFFERENT MEDIA CHANNELS. THE BRAND WILL CONTINUE TO FOLLOW ITS CURRENT FORMS OF MEDIA PROMOTION INCLUDING THE NEWEST SOCIAL MEDIA STRATEGY. WE WILL GROW OUR INSTAGRAM PLATFORM AND CONTINUE TO EXPAND THE BRAND THROUGH BOTH TRADITIONAL AND TECHNOLOGICAL WAYS. CELINE PLANS TO COLLABORATE WITH CELEBRITIES THAT ALIGN WITH THE BRAND’S CORE VALUES AND MESSAGE, AND PRIVATE EVENTS DEDICATED TO OUR MOST DEVOTED CUSTOMERS AS A FORM OF GRATITUDE. PEOPLE CELINEâ&#x20AC;&#x2122;S PRIME CUSTOMER IS HE/SHE WHO SEEKS THE ULTIMATE FORM OF SOPHISTICATION AND SIMPLISTIC DESIGN, VALUES THE CRAFTMANSHIP OF A WELL-MADE PRODUCT, AND IS BOLD AND INDEPENDENT. CLASSY AND TIMELESS WHEN IT COMES TO SEARCHING FOR THE PERFECT BAG AND SHOES. SIMPLE AND MINIMAL WHEN IT COMES TO DRESSING UP. THEY SEEK TO BE PART OF THE CELINE UNIVERSE AND LIVE THE ULTIMATE EXPERIENCE. THE PURPOSE OF THE BRAND IS TO BECOME MODERN BRAND AMONGST A YOUNGER ASPIRATIONAL CLIENTELE, WHO WILL BECOME THE NEXT CELINE CORE CLIENT BY 2048. CELINE EXPECTS TO HAVE A YOUNGER CONSUMER BASE, A STRONG AND ESTABLISHED DIGITAL STRATEGY, AND TO HAVE IMPLEMENTED DIFFERENT BRAND COLLABORATIONS IN ORDER TO EXPAND THE BRAND, INCREASE AWARENESS, AND INVITE MORE COSTUMERS INTO THEIR UNIVERSE. MEISHA I WAS EXCITED TO WORK ON THE BRAND EXPANSION STRATEGY FOR CELINE. I HAVE ACTUALLY WORKED WITH THE BRAND FOR THE PAST 4 YEARS, AND IT WAS NICE TO THINK OUTSIDE OF THE BOX ON STRATEGIES FOR THE FUTURE. I ENJOYED LOOKING THAT THE BRAND FROM A MARKETING/BRANDING PERSPECTIVE, WHICH IS A DIFFERENT LENS THAN I NORMALLY USE IN WORKING WITH THE BRAND. ALTHOUGH, CELINE IS FAIRLY PRIVATE, IT WAS GREAT TO LEARN MORE ABOUT THE HISTORY OF THE BRAND. I ENJOYED RESEARCHING THE PERIODIC OVERVIEW OF FRENCH SOCIETY DURING THE TIME OF CELINE’S INCEPTION, AND I LEARNED A LOT ABOUT THE SOCIOECONOMIC CLIMATE DIRECTLY FOLLOWING WORLD WAR II. WITH CELINE GOING THROUGH AN OBVIOUS TRANSITION, AND NOT REALLY KNOWING WHAT WILL BE NEXT FOR THE BRAND, I ENJOYED TAKING MY IDEAS A STEP FURTHER. CELINE’S PRODUCTS ARE CENTRAL TO EVERYTHING AND SPEAK FOR THEMSELVES. THEIR GOAL IS TO MAKE BEAUTIFUL, SINCERE, AND GENUINE PRODUCTS, WHICH EMPOWER THEIR CUSTOMERS TO DRESS AND LIVE FOR THEMSELVES. CELINE LOOKS FOR INDIVIDUALITY AND TALENT IN THOSE WHO CONTRIBUTE TO ACHIEVING THIS GOAL. I WAS REALLY ENJOYING THIS PROJECT AND I LEARNED MULTIPLE THINGS FROM IT. THANK YOU! CAMILA IT WAS REALLY EXCITING TO WORK ON THIS PROJECT. I HAVE WORKED IN DIFFERENT BRAND EXPANSION PROJECTS BEFORE, AND EVERY STEP TO BUILDING A BRAND EXPANSION ONLY REINFORCES MY SKILLS TO WORK WITH BRANDS IN THE FUTURE. I’VE WORKED WITH J.CREW, GUCCI, DIOR, AND NOW CELINE IS ANOTHER BRAND I CAN ADD TO MY PORTFOLIO. LEARNING AND UNDERSTANDING THE BRAND ARE TWO COMPLETELY DIFFERENT THINGS. I ALREADY KNEW ABOUT CELINE. I LEARN ABOUT THE BRAND EVERY DAY ON THE NEWS, BUT TO REALLY UNDERSTAND THE HISTORY, THE BRAND IDENTITY, AND CORE VALUES HELPED ME EXPAND MY KNOWLEDGE AND PRACTICE WHAT I CALL MY “COMPETITIVE ADVANTAGE” MY UNIQUE SET OF SKILLS. Kapferer, Jean-Noël, and Vincent Bastien. The Luxury Strategy: Break the Rules of Marketing to Build Luxury Brands. London: Kogan Page, 2015 Fionda AM. The anatomy of the luxury fashion brand. The journal of brand management. 2009-03-01;16:347-363. Anaya, Suleman. “On the Wings of Céline.” The Business of Fashion. March 27, 2013. Accessed October 20, 2018. https://www. businessoffashion.com/articles/intelligence/on-the-wings-of-celine. Williams, Robert. Bloomberg.com. September 29, 2018. Accessed October 20, 2018. https://www.bloomberg.com/news/articles/2018-09-29/a-runway-show-at-lvmh-s-celine-just-shifted-luxury-s-landscape. De Berardinis, Claudia. “Fashion House Celine Gears up for Exponential Growth.” The CEO Magazine. September 21, 2018. Accessed October 20, 2018. https://www.theceomagazine.com/lifestyle/fashion/whats-happening-to-celine/. Diderich, Joelle, and Mimosa Spencer. “Céline Enters E-commerce With Release of French Site.” WWD. December 06, 2017. Accessed October 20, 2018. https://wwd.com/business-news/retail/exclusive-celine-enters-e-commerce-with-release-of-frenchsite-11062976/. D’Arpizio, Claudia, Federica Levato, Marc-André Kamel, and Joelle De Montgolfier. “Luxury Goods Worldwide Market Study, Fall– Winter 2017.” Bain. August 13, 2018. Accessed October 20, 2018. https://www.bain.com/insights/luxury-goods-worldwide-marketstudy-fall-winter-2017. Nembhard, Candice. “Sales Figures Prove Gucci Is Absolutely Killing It.” Highsnobiety. April 25, 2018. Accessed October 20, 2018. https://www.highsnobiety.com/p/gucci-sales-surge/. “Louis Vuitton on the Forbes World’s Most Valuable Brands List.” Forbes. Accessed October 20, 2018. https://www.forbes.com/ companies/louis-vuitton/#384025af6dbe. Home, Essential. “Inspirations | Essential Home.” Inspirations Essential Home. September 18, 2018. Accessed October 20, 2018. http://essentialhome.eu/inspirations/lifestyle/fashion-luxurious-brands-2016/. Diderich, Joelle. “Women’s Reboot Powering Saint Laurent.” WWD. July 30, 2018. Accessed October 20, 2018. https://wwd.com/ fashion-news/designer-luxury/saint-laurent-two-billion-euros-sales-target-kering-1202766181/. Denis, Pascale. “LVMH’s Celine Poised to Launch E-commerce Venture: Sources.” Reuters. December 01, 2017. Accessed October 20, 2018. https://www.reuters.com/article/us-lvmh-celine-internet/lvmhs-celine-poised-to-launch-e-commerce-venture-sourcesidUSKBN1DV5N6. Kapferer, Jean-Noël, and Vincent Bastien. The Luxury Strategy: Break the Rules of Marketing to Build Luxury Brands. London: Kogan Page, 2015 Bu, Lambert, Benjamin Durand-Servoingt, Aimee Kim, and Naomi Yamakawa. "Chinese Luxury Consumers: More Global, More Demanding, Still Spending." McKinsey & Company. August 2017. Accessed November 07, 2018. https://www.mckinsey.com/ business-functions/marketing-and-sales/our-insights/chinese-luxury-consumers-more-global-more-demanding-still-spending. Muret, Dominique. "Luxury Goods: Young People and Chinese Consumers Dominate Market." FashionNetwork.com. February 21, 2018. Accessed November 07, 2018. https://us.fashionnetwork.com/news/Luxu ry-goods-young-people-and-Chinese-consumers-dominate-market,950323.html#.W-JZo5NKjic. Danziger, Pamela N. "Luxury Brands: Innovation Is No Luxury, But A Necessity." Forbes. August 08, 2017. Accessed November 08, 2018. https://www.forbes.com/sites/pamdanziger/2017/08/08/luxury-brands-innovation-is-no-luxury-but-a-necessity/#30a3249f303a. Olenski, Steve. "The Key To Success For Luxury Brands In China." Forbes. September 15, 2017. Accessed November 08, 2018. https://www.forbes.com/sites/steveolenski/2017/09/15/the-key-to-success-for-luxury-brands-in-china/#20532eaa42a3. Vogue English. “Céline.” Vogue English. September 01, 2012. Accessed November 13, 2018. https://en.vogue.fr/vogue-list/ thevoguelist/cline-/1136. Schlesinger, Robert. “’Chantez, Chantez, La Guerre Est Finie’.” U.S. News & World Report. May 8, 2015. Accessed November 13, 2018. https://www.usnews.com/opinion/blogs/robert-schlesinger/2015/05/08/what-paris-was-like-on-v-e-day-70-yearsago. Kelly, Erin. “No Place Has Ever Been As Cool - Or Volatile - As Paris In The 1960s [44 Photos].” All That’s Interesting. February 10, 2017. Accessed November 13, 2018. https://allthatsinteresting.com/pictures-of-paris-1960s. Steinfels, Peter. “Paris, May 1968: The Revolution That Never Was.” The New York Times. May 11, 2008. Accessed November 13, 2018. https://www.nytimes.com/2008/05/11/world/europe/11iht-paris.4.12777919.html. “De Gaulle Elected.” History.com. Accessed November 13, 2018. https://www.history.com/this-day-in-history/de-gaulle-elected. “France Economy - GDP, Inflation, CPI and Interest Rate.” FocusEconomics | Economic Forecasts from the World’s Leading Economists. Accessed November 13, 2018. https://www.focus-economics.com/countries/france. Honig, Michelle. “1960s French Fashion Gets a Boost in Gorgeous Exhibition at FIT.” Observer. March 01, 2017. Accessed November 13, 2018. https://observer.com/2017/02/1960s-french-fashion-gets-a-boost-in-gorgeous-exhibition-at-fit/. The purpose of this project was to apply concepts learned in class to develop a future brand building strategy for Celine.